Morgen Bailey works for a wealth of indie authors and publishers. 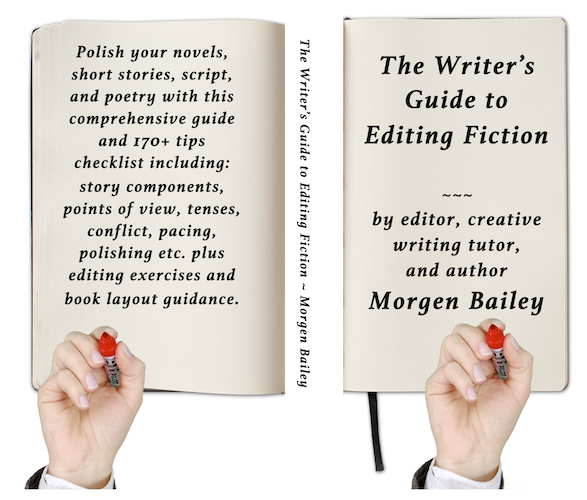 In this book, she guides you through some of the processes needed to take your (primarily) novel or short story from first to final draft so that it’s good enough to submit to a competition, agent, or publisher. * Writers looking to have their writing taken seriously! Morgen Bailey is a writer, freelance editor, writing blogger, former writing group chair, and creative writing tutor. She has been helping authors refine their novels, short stories, poetry, scripts, and non-fiction since 2008 and has worked with independent and traditionally published writers at every stage of their career. Morgen writes novels (currently three published, five in the works) and short stories (eight collections published so far) so is also experienced to help you as a writer, not just as an editor.